It astonishes me that of all their past palettes, Chantecaille Tiger in the Wild is the only one still available. If anything I would have thought it would be the first to go. I own three Chantecaille seasonal palettes (the other two are the New Classics palette and Sea Turtle palette) and saw/swatched a few others throughout the years. You quickly see a very clear pattern emerging when looking at the palettes. The colors they use are always neutral and demure, and fall under what we would usually think of as "universal." Chantecaille's 4-pan palettes usually include a highlight/base shade, a main eye shade, a liner shade, and a cheek shade. Tiger in the Wild contains a shimmering cream, light taupe, deep grape, and pink coral blush. Below, I applied Tiger in the Wild in the most basic way possible. I applied the highlighter/base shade all over my lids and under the brow bone, then applied the taupe shade on the lid area. With the Shu Uemura 10F brush, I winged out the deep grape liner shade, and used a pointed brush to target the color on the crease. I remember way back when I didn't know much about Chantecaille, all I heard was they had great eyeshadows. People raved about its softness and how smooth it felt, how easy it was to blend. 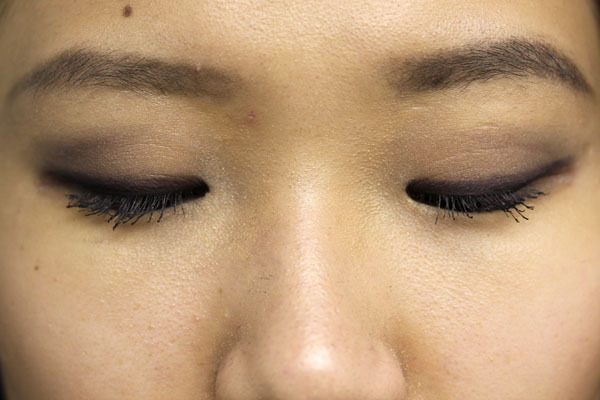 I largely agree - Chantecaille shadows definitely feel good on the skin, but sometimes softness isn't a good thing. While easy to apply, I kicked up a lot of excess shadow when dipping my liner brush (usually stiffer than regular eyeshadow brushes) into the grape shade. 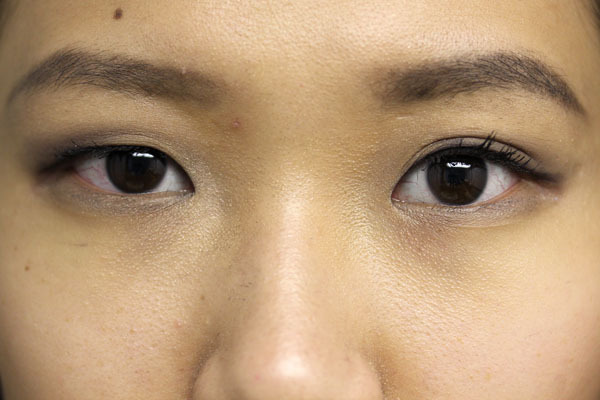 While it applied beautifully to my upper lash line, I had to clean up the resulting fallout. I'm aware that I'm nitpicking. After all, the shadows are buttery, the color choices spot on, the design is quite amazing, and the pans are huge. 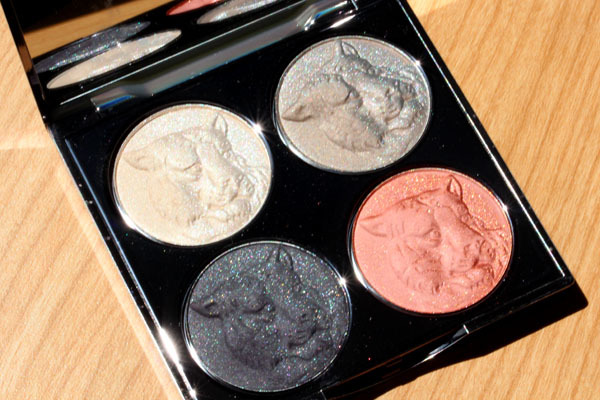 I personally think Tiger in the Wild is Chantecaille's best palette so far. Chantecaille Tiger in the Wild Palette retails for $78 and is still available on chantecaille.com. Wow, the deep grape shade looks very very unique! 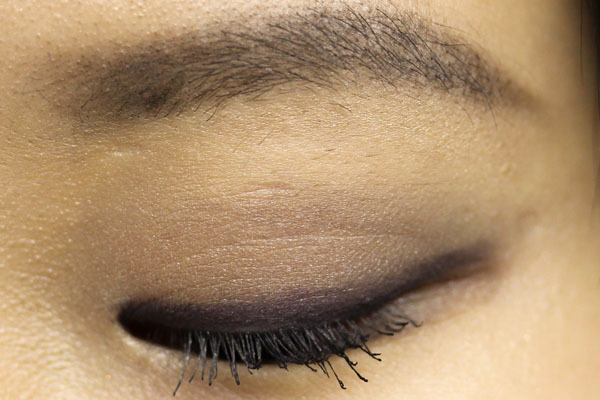 Seems like it would produce a beautiful smokey eye! I usually get that crumbliness from LMdB actually :p this looks gorgeous, Xiao! can't wait to see it for myself. I love Chantecaille blushes and glosses best. I have a few of their shadows, and I love them, but I agree some of them can be a bit too soft. So pretty! I love the deep grape and how you use it as a liner! Wow I love the little tigers on the shadows, what a cool touch. This is such a cool pallette with unique but workable colors! Love it! Annick- I think it will! stephanie- O.O eep! that never happens to me though. Tracy- I've tried the glosses, which are nice but a little sticky for my taste >< thanks! lizzybee- Thanks for the kind words, Beth! Chantecaille is very generous with the amount in their products (it's like lmdb. expensive but you get a hugeee pan). Rachael- Their 4-pan palettes always feature a unique pattern, usually related to the charity they donate to (5% of the sale of each palette will be donated to a selected charity). GAH! so jealous of all of your Chantecaille seasonals! your blog is always such a tease. 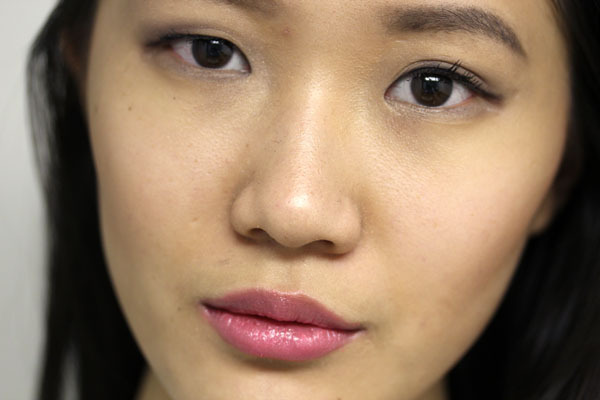 It does make for a gorgeous everyday look. So I'm curious (maybe I missed this in your post because I'm sleepy and I just spelled post 'pots' which is a clear indicator), but why is this your favorite of the four? And on a slightly related note, I love the tigers in the pans. So. Cool. Shailly - I'm not sure >< so sorry! but I think it should pop up on the blog one day. I know I haven't blogged about it. Makeup Morsels - I didn't mention in the post :) (though I only have 3!) I just think the texture of this particular one is the best, and I personally like the colors better. 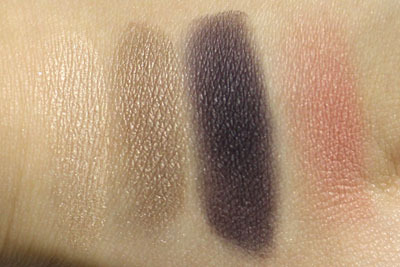 The New Classics is a little more cool and leans more purple, whereas the e/s in the turtle palette is just a little crumblier than the Tiger one (I am REALLY nitpicky with this).